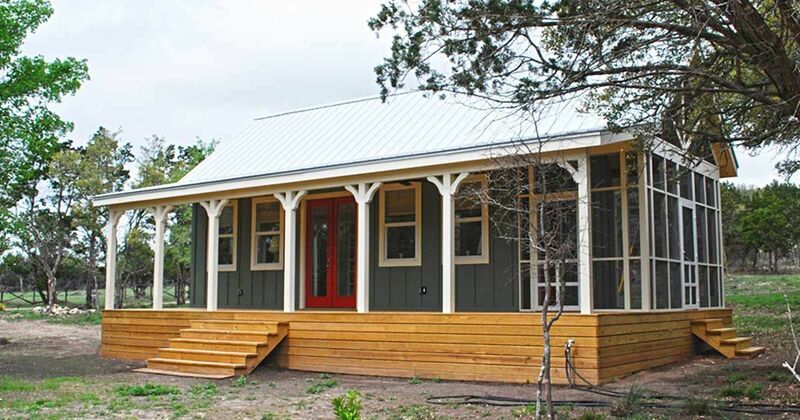 For those who want a tiny home, Kanga Room Systems designs prefabricated, build-it-yourself systems that can give you a convenient, cozy home. 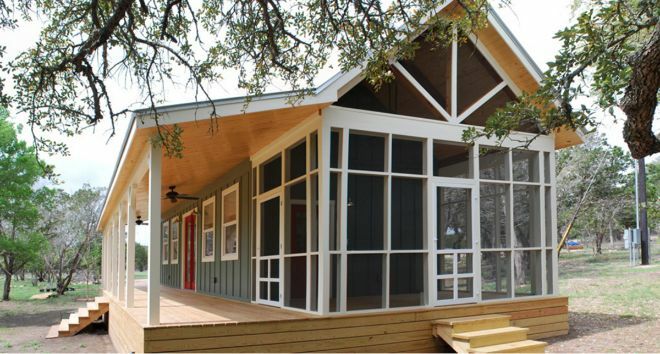 According to Kanga's site, the company is located in Waco, Texas, and has been in the business of creating prefabricated buildings for over 30 years. The company provides cabins, sheds, studios, add-on rooms, storage buildings, playhouses, and playrooms. The company boasts that every building is "Made in the USA," and "our watch words are: Quality, Integrity, and Vision." The company seeks to be eco-friendly while supplying many choices in style and keeping the buildings "aesthetically appealing." The home below is the Kanga Cottage Cabin. 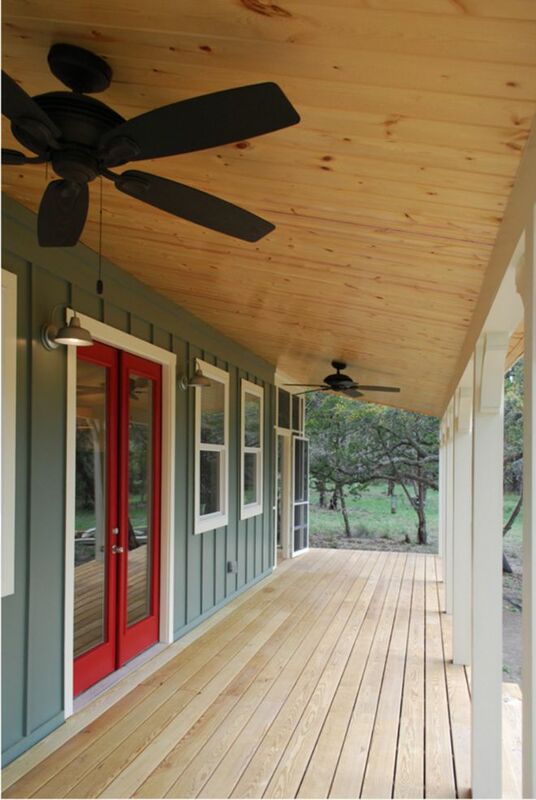 The Kanga Cottage Cabin has a wide front porch. With only 480 square feet inside the house, the whitewashed walls and high ceilings make the home feel spacious. 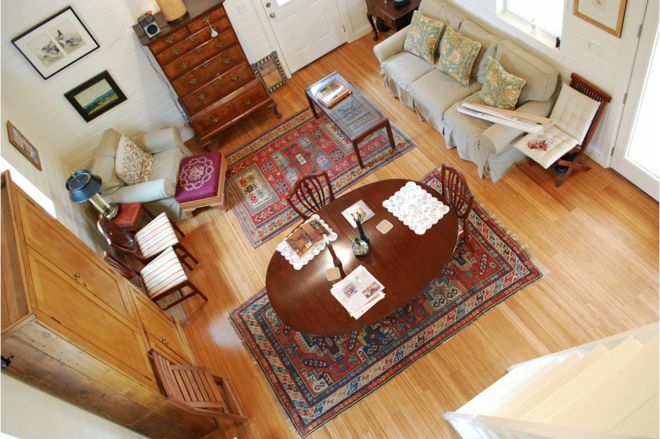 Wood on both the floors and ceilings warm the space up, making the living room nice and cozy. 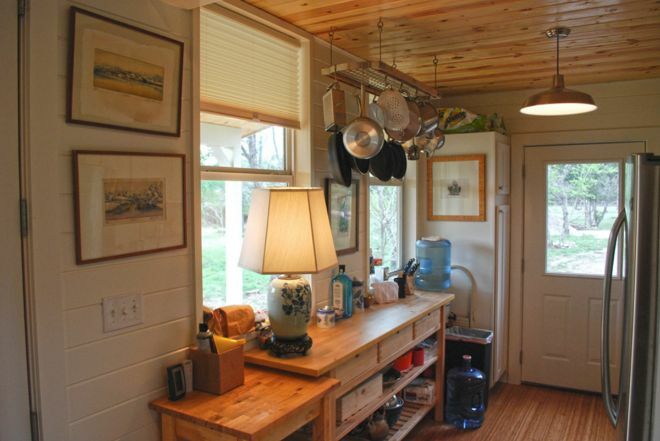 A full-sized refrigerator and a place to hang pots and pans make up the kitchen. A microwave, range and sink are also placed in the cozy area. Wood floors are throughout the entire the entire house except for the bathroom. 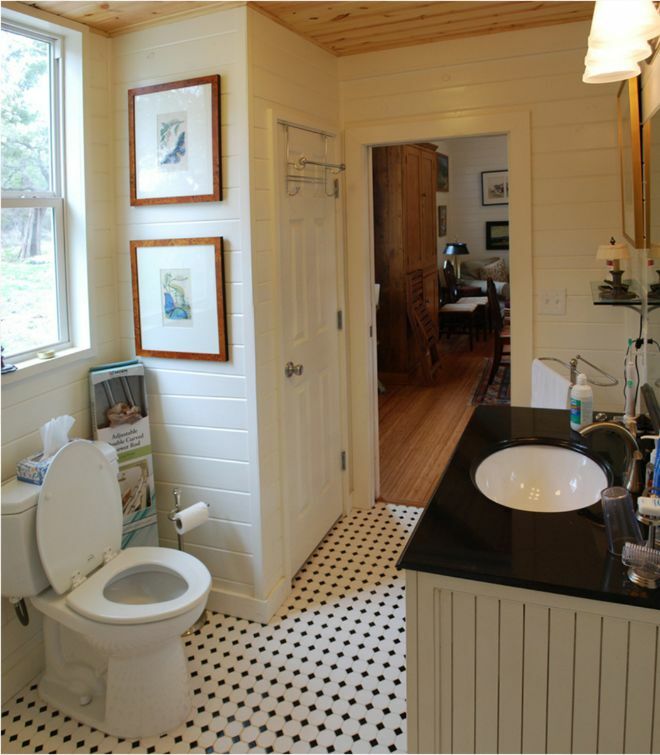 The tile on the floor and the cabinetry on the sink completes the cottage feel in the bathroom. 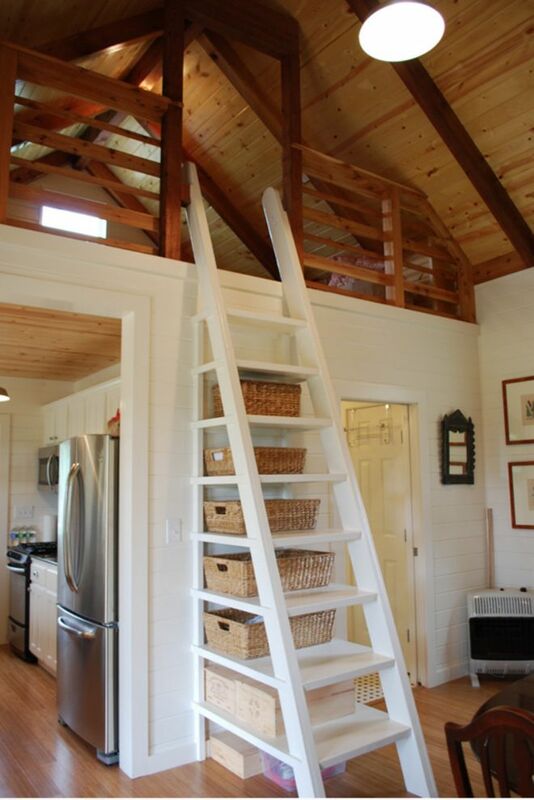 The ladder leading to the loft has storage built in behind it. 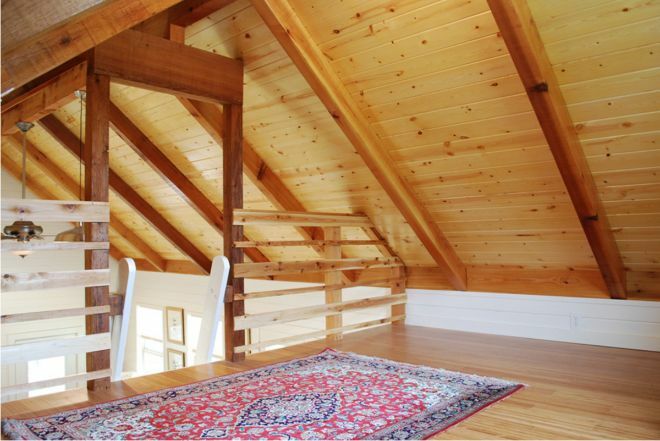 The loft of the cottage is the bedroom. 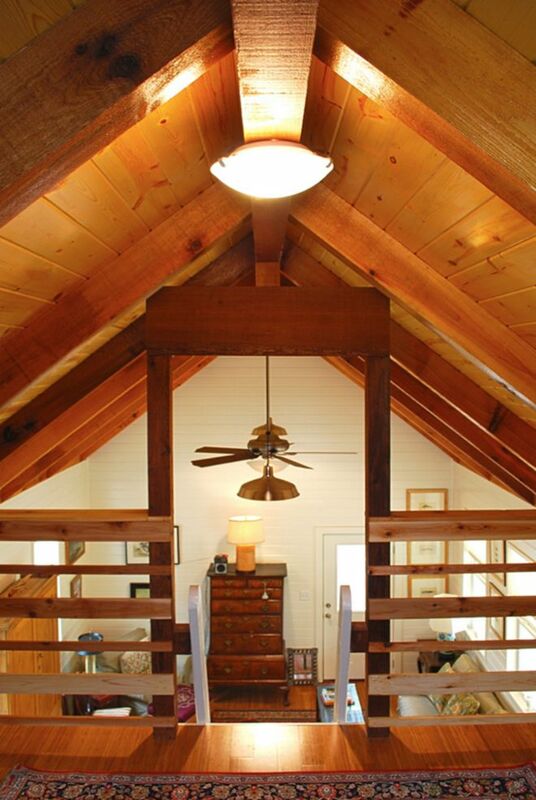 Wood railing surrounds the loft, and all the wood on the ceiling and floor makes this space warm. 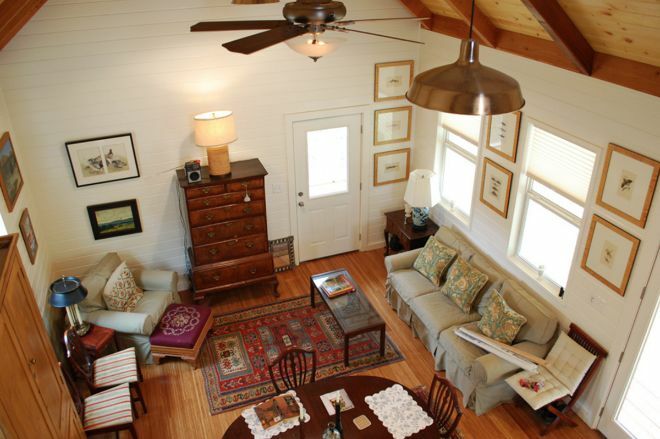 Besides the porch near the entryway, the Cottage Cabin also has a large, screened-in porch. For those who want the benefits of a tiny home, but don't know how to go about designing and building one, getting a building kit could be the solution. 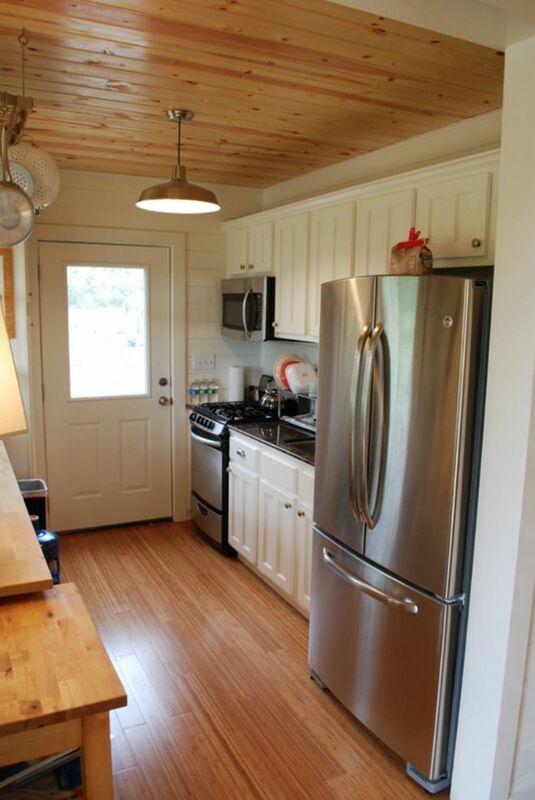 You get the advantage of the tiny home with the satisfaction of building it with your own two hands.